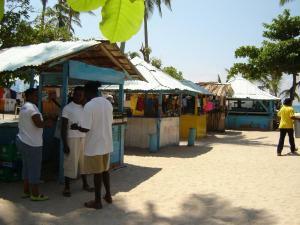 Shade – umbrellas, huts and palms abound. Notes – can get quite crowded at times. Plan on having company. And now, on the southeast side of the island where the new hotel is going up there’s an intimate beach curving around to a point, a few yards beyond which is a rocky islet. Between them, an outlet leads to a lagoon that has to be some kind of paradise. The natural untended lawn is almost like a golf course. A boatman will take you for a few pesos and pick you up later. 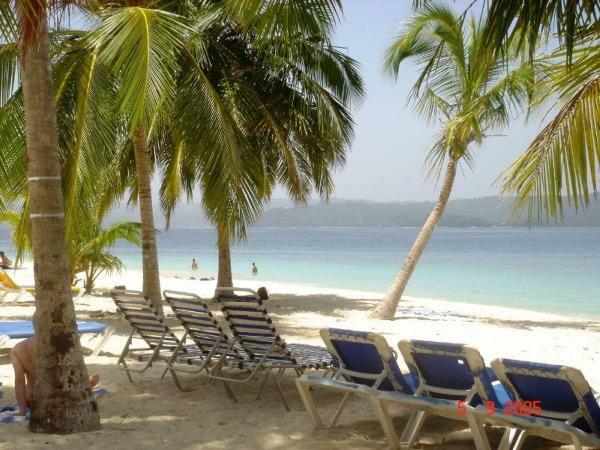 Ask at Cayo, and… Enjoy! Our thanks to Leonard Faber of the Dominican Republic for the above tip. If you have tips, please let us know and we’ll update our pages promptly, and give you credit. And if you have a photo or video you would like to share, we’d love to be able to display it for all. Send those to the contacts you see at the left. Levantado is really a gem as you can see here. Spend time talking to the locals and take in the wonderful kiteboarding and surfing lifestyle afforded here.